DISH Network for Business, Hospitality and Multi-family Housing. DISH Network is a comprehensive and affordable solution for your business or multiple dwelling property. Let us work with you to find the best programming package to fit your needs, whether you operate a restaurant, small business, hotel or manage an apartment or condo building. We have the choice you want at a price you’ll love. Whether you are an apartment or condo owner, developer or resident, we can answer your questions and help you come home to great satellite television entertainment. DISH Network for Business is designed to enhance your waiting areas, lobbies and office spaces, keeping your customers entertained and your employees informed. With DISH Network for Business, your restaurant or bar will be the place to enjoy great food and drinks in an inviting atmosphere. With DISH Network for Business, your guests will be able to enjoy quality programming at an affordable price. Because DISH Network has the most International programming available, it is the obvious choice for Universities, Government and Military locations. If you have a custom need, DISH Network for Business may have a solution for you. 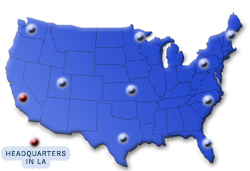 Find Local Satellite TV Installation!